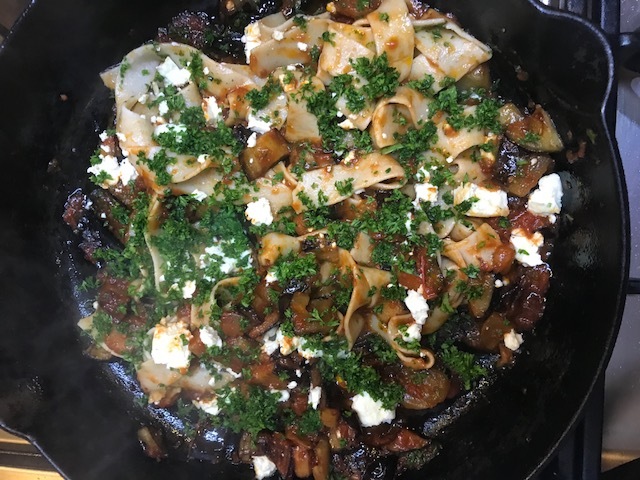 This recipe is very simple but I can assure you it tastes so good, particularly when you want to make something easy and tasty. 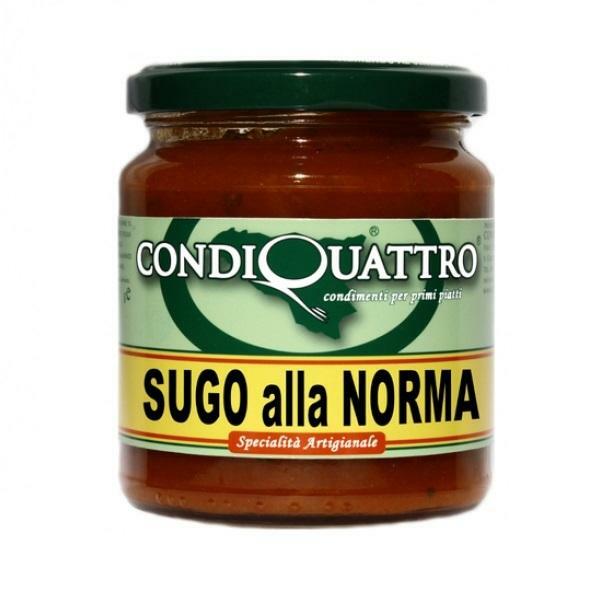 I brought the jar of pasta sauce from our stallholder Original Sicily who sells products from Sicily. He suggested a few things to do with it and is a great help with ideas when you buy anything from them. The feta came from Tahsin who sells all sorts of products. It’s really good as it doesn’t have an overwhelming salty taste and crumbles quite easily. We are hooked! We brought a whole aubergine from Arek and made a green salad using leaves from him and Fresh Garden. Mike declared it such a flavoursome dish that’s its something we should have regularly! I’ll definitely be buying more pasta sauce this weekend. 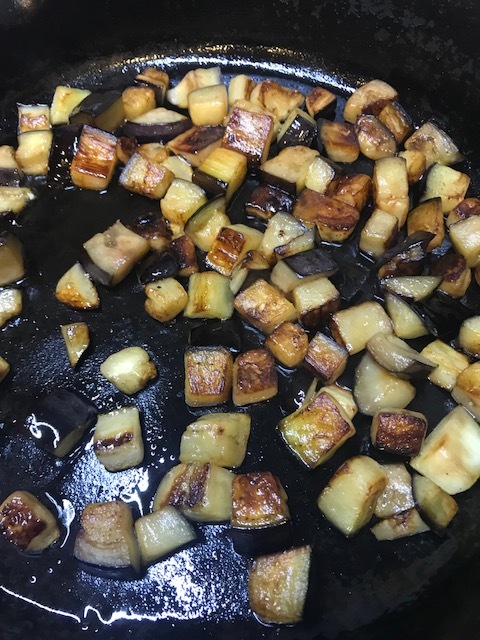 Heat a little oil in a heavy frying pan and add the aubergine cubes. Cook until soft and browned. Cook the pasta according to the instructions on the packet. Remember that the sauce is only enough for 2 people. 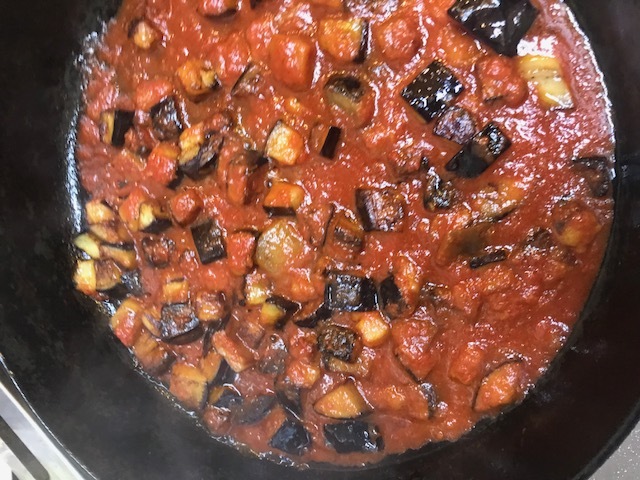 Add the pasta sauce to the aubergine and stir well to heat through. Using tongs, lift the cooked pasta from the water and place straight into the sauce (or drain first if you’d prefer). Add the crumbled feta and/or mozzarella and most of the chopped parsley. Quickly mix it all in. Serve topped with the rest of the parsley.